Heavy duty jobs demand heavy duty work boots, and most of the time “comfortable” is not a word someone might use to describe them - especially when your line of work requires internal met guards to protect the tops of your feet and safety toes for your forefoot ... (see full details) (see specifications) #TB0A1GM1214. Heavy duty jobs demand heavy duty work boots, and most of the time “comfortable” is not a word someone might use to describe them - especially when your line of work requires internal met guards to protect the tops of your feet and safety toes for your forefoot. 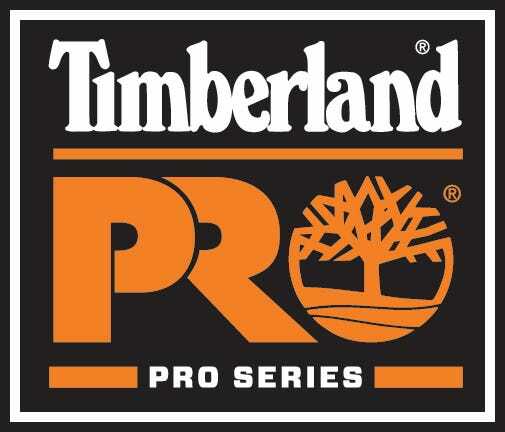 But, trust us when we say this, if anyone can make a met guard comfortable, safety compliant, AND durable enough to survive the long-term at your job, it’s Timberland PRO. Hands down, these Timberland PRO Ascender 6-Inch Internal Met Guard Men’s TB0A1GM1 214 Brown Work Boots are known as some of the most comfortable men's boots in our store and on our site, so when you want comfort, you want Timberland. These are made job site tough to keep you moving through all sorts of hazards you face, but with added comfort features like anatomically-shaped met guards and Timberland’s own Powerfit Comfort System. Built tough enough for the demolition crew, construction workers, road workers, utilities, manufacturing, assembly lines, and so much more, these safety toe EH boots are rugged enough to be long-lasting through whatever work you do. BASF polyurethane outsoles provide oil resistance (per SATRA TM63) and heat resistance up to 248-degrees Fahrenheit, and they're non-marking as well as slip- and abrasion-resistant. The lightweight symmetrical alloy toe caps protect your feet to industry standards (I/75 and C/75) while weighing less than steel, and, due to less density, they offer a little more toe room. With built-in electrical hazard protection, these alloy toe boots meet ASTM F2412-11, ASTM F2413-11, and ASTM F2892-11 standards. The internal met guards meet Class MT75 standards as well. The weight of a single shoe (in a size 9) is 720 grams, or just 1.58 pounds. The premium full-grain leather uppers are made from the toughest cut of hide that also happens to be naturally abrasion-resistant. This is the best leather for work footwear due to its density, durability, and suppleness, which allows the men's Ascender boots to flex with your movements. Speed laces around your ankles make getting in and out of these Timberland PRO boots quick and easy, while the padded collars offer a soft, secure fit for your feet and ankles. The internal metatarsal guards are anatomically-shaped open-cell polyurethane with rubber overlay for the most comfort for you while still remaining compliant with ASTM standards. Inside, these brown internal met guard boots were made for walking. When you spend a lot of time on your feet - walking, standing, bending, crouching, etc. - the stress from your day can impact your feet and steal your energy. That's why Timberland passionately pursues comfort with technology, like their own Powerfit Comfort System. The contoured open-cell polyurethane footbeds provide breathable support with target zones for optimal comfort all over during every step of your day. Add in the fiberglass shanks for structural support and stabilization, as well as the breathable mesh linings to promote fresh air flow around your feet, and you're set up for comfortable feet you can get with these Timberland met guard boots. Antimicrobial treatment inside the men's 6-inch safety toe boots fights odors before they can grow for a fresh feeling all day as well. If being comfortable is important to you (and who doesn’t love that? ), you need to try out these Timberland PRO Ascender 6-Inch Internal Met Guard Men’s TB0A1GM1 214 Brown Work Boots from Working Person's Store for every bit of comfort you can pack into a tough pair of men's safety toe work boots. Timberland PRO Boots: Internal Met Guard Men's TB0A1GM1 214 Brown Ascender 6-Inch Work Boots is being added to your cart.